New Design is proud to announce the publication of its 2018 Yearbook. A browsable online version is available here and hard copies will be with all our subscribers soon. This, the seventh edition of the Yearbook, covers a huge amount of ground. We hear from design consultancies on how they have helped clients achieve success across the consumer, transport, medical and healthcare, industrial, and service design sectors. We also welcome reflections from legal and recruitment companies working alongside the design profession. Our introductory features cover thought leadership in the areas of education, policy-making, intellectual property, and museums. One only needs to open a newspaper (or more likely browse online or check social media) to understand that, both home and abroad, social, political, economic, and environmental concerns abound. However, in speaking recently to the director of the Design Museum Deyan Sudjic I was reminded of something very important. “Design is about optimism,” he said – and that’s true, isn’t it? Design is the business of problem solving and its practice is driven by a desire to improve things: to better a user’s experience, to make more elegant, to eliminate inefficiency, perhaps even to raise a smile. At a number of technological frontiers – digital manufacturing; artificial intelligence; virtual reality; and connected cities to name only a few – design will be instrumental in shaping the future. As each year passes the scope of design consultancy appears to evolve. Whilst the physical product might be a project’s core, consultancies are addressing an ecosystem involving service, digital, experiential, and communication design around an object to ensure both user satisfaction and commercial success. Furthermore, many design businesses are helping clients at a strategic level – examining the structures and processes within an organisation that foster innovation. With this in mind, it is clear that we are asking a lot of our design professionals and perhaps even more of design education. Whilst our universities are generally doing a good job in producing graduates with the aptitudes and capabilities valued by the design industry, the picture in our schools is more concerning. According to figures published recently by Design Council, in 2000 the number of students studying Design & Technology at GCSE was 424,468; in 2017 it was 165,815. This is a concerning trend. We need well-trained, enthusiastic, design-literate talent coming through to ensure that the design industry delivers on its great potential to contribute to the UK economy and our broader creative culture. Given the opportunity, investment in the next generation is critical. 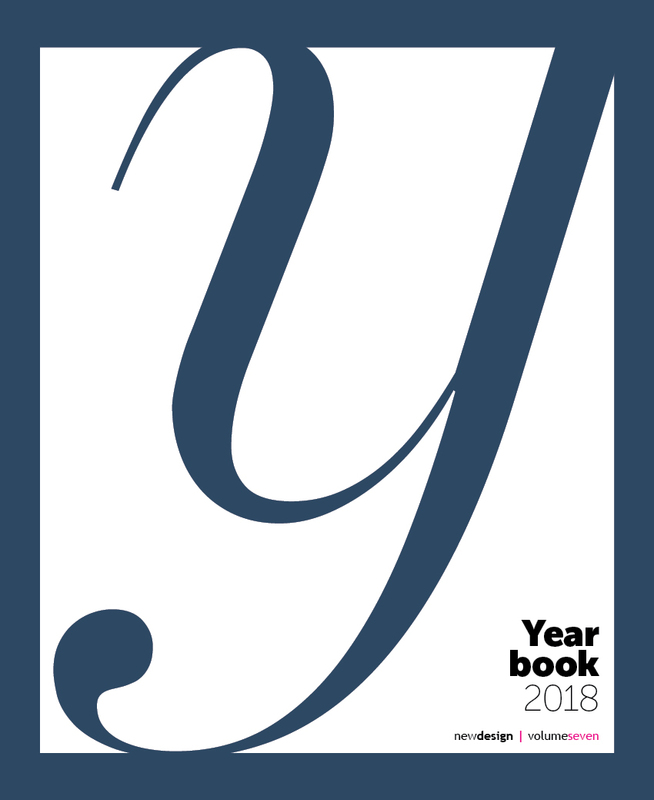 New Design’s Yearbook is an annual publication that sits as a companion to the magazine’s regular six issues per year, which bring subscribers in-depth analysis and wide-ranging features content relevant to the world of product and industrial design.